Masaryk University, located in Brno, is the second-largest public university in the Czech Republic and the leading higher education institution in Moravia. At present it comprises nine faculties with over 200 departments, institutes and clinics. Recognized as one of the most important teaching and research institutions in the Czech Republic and a highly-regarded Central European university, it has been infused with a strong democratic spirit ever since its establishment in 1919. The university also plays a major role in the social and cultural life of the South Moravian Region. One of Masaryk University’s top priorities is scientific research. In addition to attaining a leading position in research grant competitions, the university has made considerable financial investments – especially at its newly built campus – in order to enhance research and teaching capacity, facilitate the development of tools for the transfer of knowledge and improve support for research and innovation. Masaryk University offers degrees in a wide range of traditional as well as newly-emerging disciplines and is currently one of the fastest-growing higher education institutions in Europe. In recent years it has consistently attracted the largest number of study applicants among Czech universities, thus allowing it to remain highly selective when admitting students. Masaryk University was one of the first to introduce a three-tier degree structure based on the European Credit Transfer and Accumulation System and is currently the single higher education institution in the Czech Republic to hold the ECTS Label. Allocated in 2010 by the European Commission, the label constitutes proof of the university’s high educational standards and a guarantee of the correct implementation of the credit system in all Bachelor’s and Master’s degree programmes. 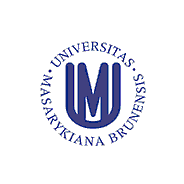 The university is involved in a wide range of mobility activities and research programmes taking place in the European Union and other countries with the objective of enabling graduates of Bachelor’s or Master’s studies at other institutions to continue their Master’s or doctoral studies at Masaryk University. The same principle applies to Masaryk University students who wish to return to their alma mater following a study period abroad. The university has long been devoted to providing students with sensory or physical disabilities with the care and attention they deserve. The Support Centre for Students with Special Needs ensures that all fields of study accredited at the university are open to these students and that they enjoy the educational standards available to the rest of the student body. Placing a great deal of emphasis on international cooperation with prestigious foreign universities and research institutions, Masaryk University supports the continuous exchange of knowledge, ideas and information as well as researchers, instructors and students on a worldwide scale, assuring equal educational and research opportunities for all. Masaryk University is firmly committed to electronic forms of communication. In order to improve both access to information and the quality of studies, it has developed an intranet system featuring a number of tools designed to e.g. assess tens of thousands of application forms, facilitate e-learning, enable students to register for courses and examinations, provide employees with efficient communication channels and support rapid communication between offices and departments. In 2005, the Masaryk University Information System received the prestigious EUNIS Elite Award in recognition of the university’s leading position in the use of information technologies in the academic community.